follow us for updates and special deals! providing professional house cleaning services in utah for over 10 years! 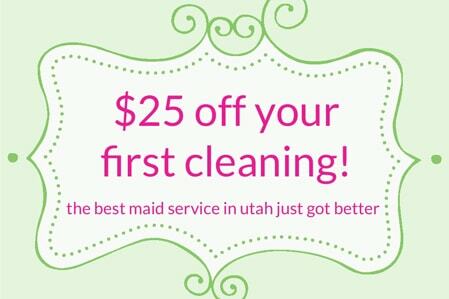 we’re a local salt lake city maid service company started right here in utah! we specialize in residential house cleaning services, rental units, construction & remodel clean-up, move-in & move-out cleanings & more! 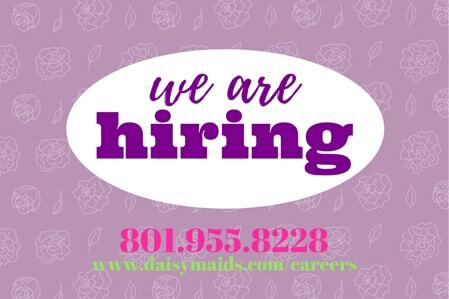 what makes daisy maids the best cleaning service in utah? we charge by the job, not by the hour so your home will be spotless for one great price! daisy maids offers free phone & email quotes. get a cleaning quote now! get the best deals on our utah house cleaning service! subscribe to get updates on our latest specials and sales! our most popular house cleaning service in salt lake city and surrounding areas! for clean bedrooms, bathrooms, kitchens and more … try daisy maids signature general cleaning service, the best option for weekly, bi-weekly, or monthly service. ask about our discounted 6-pack rate! is this your first time using daisy maids? if so, we recommend starting with our signature deep cleaning and we promise you will notice the daisy maids difference. who likes to clean blinds and baseboards? we do! daisy maids will clean all those hard to reach places. to keep your home looking beautiful. if you love how you feel in your freshly cleaned home, consider saving money by scheduling a regular cleaning. our house cleaning service is available in salt lake city and most of northern utah. daisy maids does it all! we offer a fantastic move-in / move-out cleaning services. save yourself the time and hassle during your busy move and let daisy maids do the dirty work! the only thing worse than paying rent in salt lake city is moving into a dirty home 🙁 there’s also a better chance of recovering more from your initial deposit when daisy maids does your move-out cleaning. *ask about our special pricing when you book both your move-out and move-in property. new construction? remodeling the home of your dreams? we have the perfect cleaning just for you. wiping down all reachable surfaces to collect construction dust and removal of those annoying stickers from appliances are just a few extra services we include in our construction clean-up. They are professional, friendly (I love calling them to schedule cleanings! ), very competitively priced, and in one word… AMAZING! Every time they clean our house we are thrilled with how amazing it looks, smells and feels. daisy maids is by far the best cleaning service i have ever used. they work quickly and are very thorough. when they leave my home is always sparking clean and smelling lovely! thank you so much, daisy maids!!! a couple years ago, a friend gave me a daisy maids cleaning, and i have been hooked ever since. i had used other maid services, but was so impressed with daisy maids that i will forever be a loyal customer. get a free cleaning quote - it's easy! we believe in treating all our employees with kindness and respect. 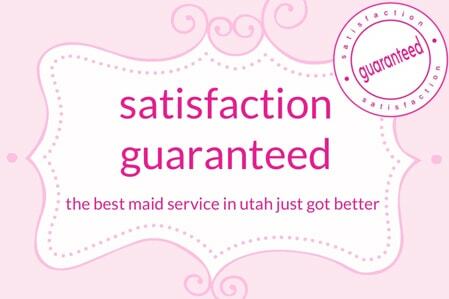 our goal is to be the best cleaning / maid service in salt lake city and all of utah. to do this, we know the employees come first–you are the heart of our business and we never forget that. if you are a hard worker with a positive attitude, we want to meet you! apply today! while we don’t specialize in this service, we highly recommend affordable carpet cleaning for all your deep carpet cleaning needs! affordable carpet cleaning also specializes in steam cleaning and flood restoration. follow us on instagram for special deals and amazing discounts! daisy maids has been providing fantastic cleaning services since 2006. leave the cleaning to us & spend more time doing the things you love! daisy maids, the cleaning girl figure and the green/pink/white color scheme are all trademarks or distictive trade dress of sparkleen, corp.